Father's Day is in just 4 days away. Have you gotten your dad/husband/brother a gift yet? If you haven't and the dad on your list likes to travel or has to travel a lot for work, then I have a great list of ideas for you, all of which can be purchased now at the last-minute and get it before you see them on Sunday. For my favorite splurge-worthy and budget-friendly gifts, check out my article on Parade.com. And here are more options for however much you have available to spend to make your dad's day the best, most of which are available on Amazon. We loved the one we had for travel so much that we bought one of these for our house, too. This compact little gadget is perfect for traveling, because you can make one free outlet into five! We plugged it into our adapter and were able to charge our laptop, cell phones and iPad mini at the same time. Pretty awesome, right? Yeah, I thought so. 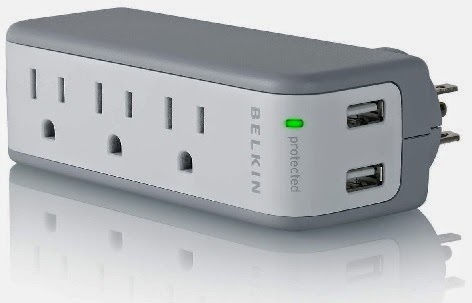 Belkin is a great brand and you can turn the plug 360 degrees, which means if you have a tight space, it will always fit. Double score! 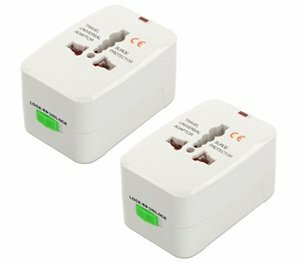 Since most American electronic devices are now dual-watt, it's not necessary to purchase a power converter anymore, but if you're traveling outside of the US an adapter is a necessity. I purchased this bare bones one a while ago and it changes configurations for the different outlets in different countries (which saves space!) and works amazingly well. It's also super affordable and if you buy this pack of two, you can keep one for yourself. 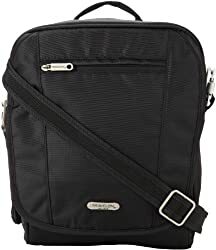 It slips right into a carry-on pocket, so it won't take up much space that your dad needs for other things, like pants! Is your dad going somewhere specific soon? 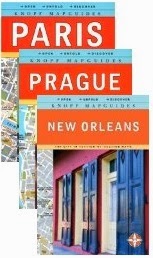 Pick him up a one or two Knopf travel guides. They have fantastic pop-out maps and suggestions for all the fun and cool things to do in each neighborhood. They will be more excited than ever to plan their trip and will have a nice list of affordable things to do, see and places to eat. I took these guides with me to London and Paris (both times I traveled) and they were invaluable for finding attractions and underground stations. Got a budding photographer on your list, social media addict or a blogger to buy for? 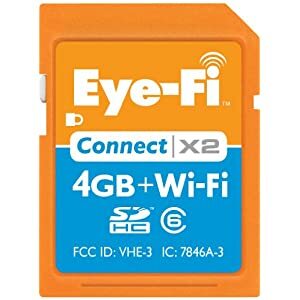 The Eye-Fi card is perfect! With built-in WiFi, it magically sends any photos or videos taken with it (you know, with a camera) to an iPhone, iPad, Android device or computer. Instant back-up! 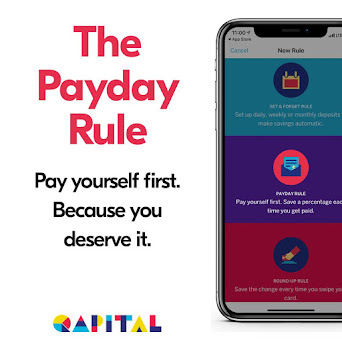 Not only that, you can set up your card to also send your photos and videos straight to an online sharing site, including Flickr, Facebook, Shutterfly and even YouTube. Pictures don’t need to be uploaded at the end of the day to be able to add them to a blog, making it so much easier to share and save. They can be a lifesaver, especially if a camera gets stolen on a trip, because all their memories will be backed up. CityPASS – CityPASSes are great for travelers, because they allow them to see and do more on a budget. Pay one price and get the most popular (and sometime obscure, too) attractions included. On average, CityPASSes save half off regular attraction rates, which is a huge savings if they get to all of them. They are good for 9 consecutive days starting with the first use. Even if they just going live in one of these cities they are available all, it allows them to be a tourist at home, which is always fun. Travelon has been a wonderful review partner for me over the years. It’s no surprise that I love their bags and other products. They are well-made, look great and are made for both men and women to carry. The Urban Tour Bag is one we continue to take over and over again on trips and is my husband's "personal item" on the plane where he stashes books, the iPad, snacks, gum, pens and bottles of water. It's handy, doesn't cut into your shoulder and looks great. I've even used it on bike rides. If you need more reason to buy one, here's my review of it. I hope you find something here or in my Parade article that suits your dad and your wallet. Remember, it's the thought that counts and not the amount of money that goes into a gift that will make the receiver happy, so if you are low on funds and can only purchase a little something, maybe construct a funky handmade card, throw in a hug and you're golden! What are some of your favorite travel gift ideas?